Back in January, right after Martin Luther King, Jr.’s Birthday, this story popped up on Yahoo. It was perfect for my February month of love stories. What a perfect way to start out my month of love! With the Lovings! This month I will be featuring love stories that are personal in nature as well as notorious, such as the story of the “Lovings“. If you click on the link, you can get the full details, much more than I am giving you here, and by the proper source. It’s most interesting. 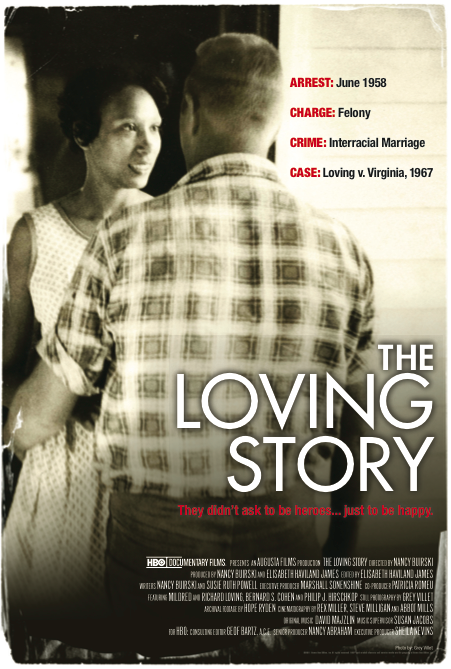 These two young people fell in love back in 1958 and traveled to Washington D. C. to get married because it was illegal in Virginia. When they returned home to their native state, after only five weeks of marital bliss, the police barged into their home in the middle of the night (that was when we didn’t lock our doors… EVER) and arrested them (after they woke them up by shining a bright flashlight in their faces and asking them why they were in bed together). I remember a similar love story here in my home town right around that time, perhaps in the early 60s. One of the young girls here fell in love with an African-American and married him. It was a huge scandal. Everyone talked about it at the supper table; everyone was shocked. Hmmm. Reminds me of the scandal I created when my late husband and I were dating and eventually married; he being much younger than I; he being a “wild thang”; me, not so much. She and her husband lived in another town, so we didn’t see them often. They now have beautiful, grown children and are still married. I love that love story. Previous Previous post: My Grandpa Was A Hunk Too! And I remember you marrying that younger man, too! I think I even asked you at one time if you had lost your mind? LOL Yes, you had! You had fallen MADLY in love!